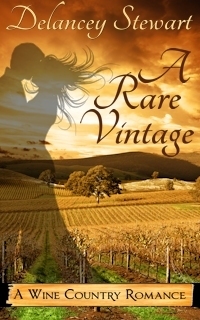 Enter to WIN A Rare Vintage at Goodreads! So, I’m about to embark on a blog tour for Through a Dusty Window and am trying to build some momentum publicity-wise. With that in mind, I’m asking a couple favors of my followers. The first one is easy. Could you head over to my Facebook page (if you use FB) and hit “like”? Not a big deal, but it would be a help to me! Click here to head over. If you’ve read Through a Dusty Window, could you take a moment to go to Goodreads and Amazon and give it a star rating? It’d be even better if you could write a quick review! I know it’s a lot to ask, and I really do appreciate it. Lastly, if you haven’t read the book, but think you’d like to, I’d be happy to send you an e-version free for a limited time! If you comment on this post (leaving your email address when asked — it won’t be visible to anyone but me) before March 1st, letting me know that you’d like a copy, I’ll gift you a free copy on Smashwords. My only request is that you be willing to go leave a review when you’ve read it.